A Detox Diet (also called a cleansing diet) aims to remove toxins and poisons from your body. The idea of a good detox diet is to eat pure and natural foods that will aid the function of the skin, lymph, kidneys, and liver to eliminate these toxins. All foods that hinder the regime should be avoided. Detox diets are controversial and risky. Some experts believe there is inadequate evidence to support the claims made. 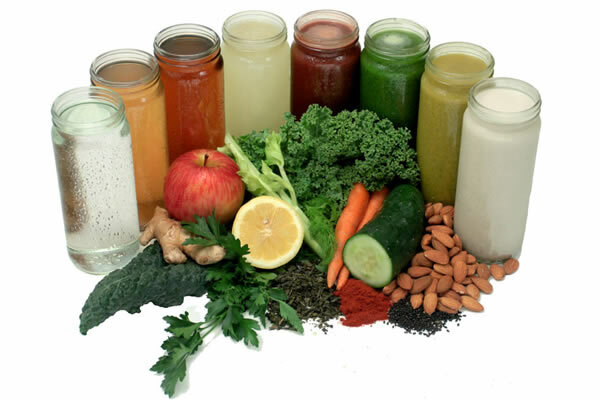 Many detox diets have quite severe restrictions, and should be embarked upon with great care. A good detox diet should still provide you with all the nutrition your body requires on a daily basis as well provide you with a safe level of calories that can support healthy weight loss if that is desired. Those not wanting to lose weight should be sure that the detox plan chosen is providing enough calories required to maintain your current weight. Organic food and drink (no pesticides or fungicides). Whole unprocessed foods (grains, nuts, seeds, etc). High mix of vegetables and fruit. 2 liters of plain water per day. Certain herbs such as Psyllium seed, Licorice root, Yucca root, Milk thistle seed, Gentian root, are often recommended to aid the detoxifying process. Alcohol, caffeine, tobacco, and drugs. Added sugars and artificial sweeteners. Certain supplements (due to the amount of additives). Most detox diet regimes are holistic in outlook. It is important to address other areas of stress in your life, and examine lifestyle as a whole. Adequate sleep is extremely important. Many detox diets may be nutritionally insufficient. This can be compounded due to frequent bowel movements. Poor nutrition can lead to muscle loss, fatigue, and irritability. Some may have allergic reactions to herbs recommended for the detox. Long-term weight loss isn’t likely. Most experts believe that the body is quite capable of cleaning itself (provided you follow a generally healthy diet, with exercise and adequate sleep). However many natural health practitioners believe that our polluted environment has left us toxic, and our bodies need a little help. Make sure you receive the right guidance and support before attempting detox diets, and never attempt the detox longer than the specified duration. Master Cleanse / Lemonade Diet The most popular short-term detox due to substantial media coverage. Super Cleanse A popular book containing 9 different cleanses. The Clean Diet A 21 day detox designed by Dr. Junger. The Sugar Detox Simple steps to a reduce sugar intake. 21 Pounds in 21 Days This is also known as the detox version of the Martha’s Vineyard Diet. Beauty Detox Solution Outlines a method of eating that cleanses the body to promote optimal beauty and improved general health. For those interested in a gentle approach that can be maintained as a long-term lifestyle. A detox diet can be a good way top jump-start weight loss or reset bad eating habits, but after the detox a healthy calorie controlled eating plan must be put into practice. Otherwise, all of the potential benefits achieved by the detox or cleanse will have been in vain. Your body is designed to remove toxins and impurities but can only do so when it isn’t being bombarded by processed food chemicals, pesticides, and environmental toxins. A consistent and clean whole foods diet is the best way reduce toxins and to continually detoxify the body from impurities. Lunn, J., & Foxen, R. (2008). How much water do we really need?. Nutrition Bulletin, 33(4), 336-342. Di Vincenzo, R., & Ryan, J. (2006). Detox diets. Cohen, M. 'Detox': science or sales pitch? [online]. Australian Family Physician, Vol. 36, No. 12, 2007 Dec: 1009-10. Detox diets are usually a quick fix and weight loss is not maintained.